In 1955, Dr. Lowry H. McDaniel, then chairman of the American Medical Association, said, “Medicine has made more progress in the first half of the 20th century than in the 6,000 previous years.” At that time, the average American could expect to live to the age of 68; since then, advances in technology and science have sent the field of medicine rocketing into a realm that even McDaniel, who made some extreme predictions about the future of health care, would’ve said could exist only in science fiction. Looking ahead, the next 50 years will bring even more advancements to the field of medicine, and Tallahassee Memorial HealthCare, in its seventh decade, is positioning itself to accommodate those advancements by building its new M.T. Mustian Center at the corner of Miccosukee Road and Medical Drive. The M.T. Mustian Center is named for the hospital’s first CEO, who settled in Tallahassee shortly after McDaniel made his medical predictions, and who saw a few of those predictions (such as radiation being used to treat cancer) come to pass. The Mustian Center stands five stories tall, covers 340,000 square feet and, by the time it opens its sliding glass doors in 2019, will have cost about $260 million to build and outfit with medical equipment. “It will be state of the art,” said TMH President and CEO Mark O’Bryant, comparing this design to facilities found in major metropolitan cities. Mickey Moore, President and CAO of the Tallahassee Memorial HealthCare Foundation, said the center will put TMH in a new league. “When you talk about transforming care, advancing health and improving lives, there will be nothing like it for miles and miles and miles,” Moore said, citing its capacity and the technology it will utilize. The Center will feature 28 operating rooms, four interventional suites and 72 intensive care beds — with plenty of room to grow. The smallest operating room will be 625 square feet, which is nearly twice as large as the smallest operating room that is currently at TMH. All necessary support services, such as perioperative services, CT imaging and blood banking, will be available at the Mustian Center, too. The facility will accommodate growth in the general population and the aging population and will expand the range of services available to a larger service area, O’Bryant said. As a regional hospital, TMH provides health care to residents of 17 counties, but it is increasingly receiving patients from additional areas in the Panhandle, south Georgia and Alabama. Its expansions in orthopedic care, neurosurgery, cardiology and reconstructive care have quickened the pace of referrals inside and outside its core service region. Dr. Hank Hutchinson, orthopedic trauma surgeon, said the new center will have the best operating rooms in the region. Construction of the center by Birmingham-based Brasfield & Gorrie employs nearly 300 local and non-local construction workers, generating local wages and non-local spending in the local economy. 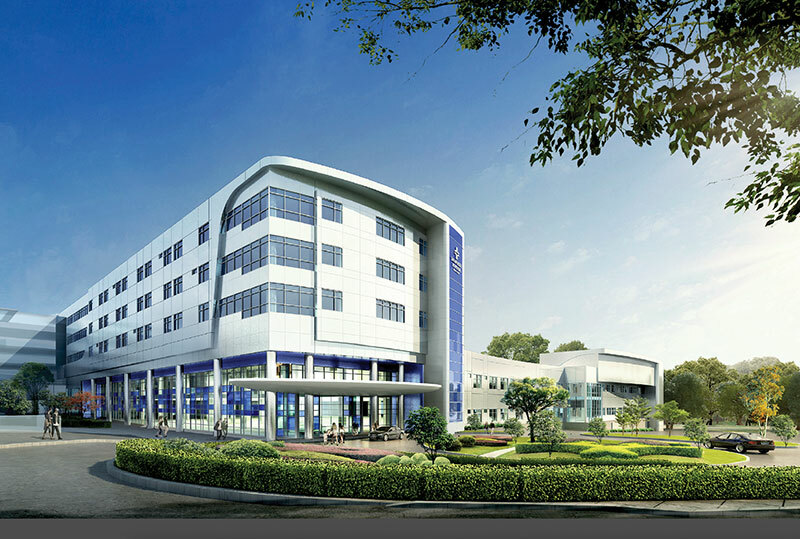 The Mustian Center will provide hundreds of new health-care jobs, which O’Bryant hopes to fill with graduates from local medical colleges including the Florida State University College of Medicine and Tallahassee Community College’s Ghazvini Center for Healthcare Education. TMH also will look to technical schools such as Lively Technical Center and the Southeastern School of Health Sciences to fill its employment needs. The center will need to hire doctors, around 500 nurses, CNAs, monitor techs and many other skilled employees.